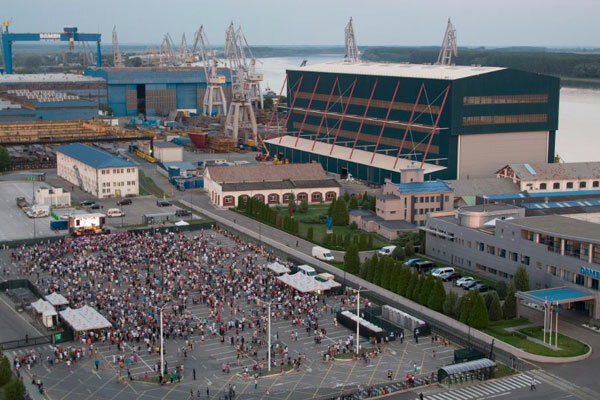 Romania’s Damen Shipyards Galati, the largest of Damen Shipyards Group's 32 shipyards, repair yards and related companies worldwide, yesterday (August 15) held a party for the annual celebration of Ziua Navalistului – Shipbuilder’s Day. This year’s celebration was larger than usual as it incorporated a celebration of 100 years since Romanian unification and Damen Shipyard Galati’s 125th anniversary, said a statement from the company. Around 7,000 people attended the event, including employees and former employees of the yard and their families, Galati city officials, clients and the media, it said. “All I can do is to congratulate you, wish you health and strength for the future. I hope that in 125 years from now, your successors will meet again here, maybe at a larger scale, which means this yard will extend its production capacity in future,” he added. “Today it is a good time to consider what we’ve been through, where we are and where we are going. We have everything we need, the right capabilities, the right equipment, high skilled force and the desire to prove that we are a sound and a top quality shipyard, as well as a great family,” he added.